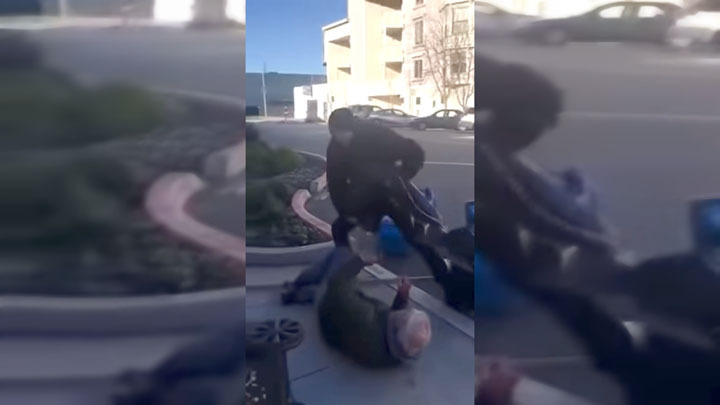 In the 23-second clip, Ron tries to stop the theft, but the attacker lunges toward him with his bicycle and then says, "Old man, stay on the ground," before he repeatedly kicks him all over his body. "San Francisco police are investigating the matter as an assault. Ron said it's the third time the same man harassed or tried to steal the sign in a week," NBC's Bay Area affiliate reported. "The pro-lifer was taking part in a peaceful 40 Days for Life campaign when the perpetrator stole the victim's banner and viciously beat him. The same assailant had attacked the victim and another man just two days prior," the Life Legal Defense Foundation added. "Life Legal represents the elderly victim, who is afraid for his safety. We are working closely with 40 Days for Life to make sure pro-life advocates in San Francisco and across the nation are protected and perpetrators are brought to justice." Shawn Carney, president of 40 Days for Life, said in a statement released Monday that he considered the attack evidence that "the idea that San Francisco is tolerant is a joke." "We believe every person should be treated with kindness, love and respect, even those with whom we may disagree," said Carney. "That said, over the past few months, we have seen an increase in violence from abortion supporters in an effort to instill fear and deter our law-abiding volunteers." While a man suspected of committing the assault was taken into custody, Alger declined to press charges, stating at the time that it was "a painful situation, and I'm not going to make it any worse."